Unlimited import of cheap Vietnam pepper via Sri lanka has put future of Indian Pepper Cultivation and Growers Life at risk . This year ,Cheaper Vietnam pepper is flooding Indian markets through Sri lanka since implementation of lower duty structure under SAFTA (South Asian Free Trade Area). Growers now thinking to abandon the cultivation of the pepper due to loss if same continues. 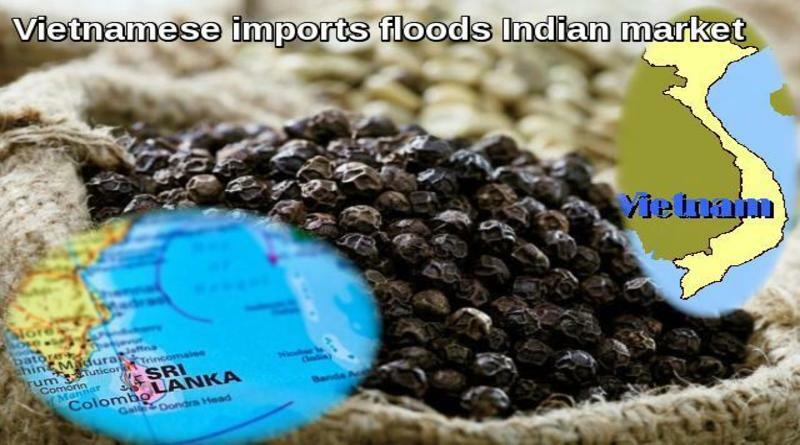 Growers and Traders from major growing areas like Kerala ,Karnataka ,Tamil Nadu and Andhra Pradesh once again demanded the centre govt to impose restriction on this illegal inflow from Srilanka. Growers are considering cultivating cocoa and nutmeg, which are less labour intensive and have a lower cost of production. They are also looking at some fruit crops like mango and rambutan. The interests of pepper farmers in the South as well as the North-East need to be safeguarded, the growers leaders said. Pepper imports in general attracts a duty of 70 per cent in India. Under an ASEAN agreement, a duty of 54 per cent is levied on pepper imported from Vietnam. However, under SAFTA, pepper from Sri Lanka attracts a duty of just 8 per cent, making it attractive for a section of traders to route Vietnamese pepper through Sri Lanka. Vietnamese pepper is reported to have higher pesticide residue in it. In case such pepper enters the domestic market without being tested at the import port, it could turn out to be health hazard. India’s domestic demand for pepper is on the increase on account of changing food habits. The current demand is estimated at 60,000 tonnes per annum with an annual growth rate of 4 per cent.